For the big AD truck boys and girls. I bought two trucks for parts for my truck and am going to have a bunch of 1-1/2 ton pieces for sale or trade. one front axle, hub to hub with springs if desired. One Pair of nice 1-1/2 ton short running boards. I have one set of really nice stock seat cushions available These have leatherette covers and are good enough to put in and drive on. One small tear down in front in the middle but the seats themselves are nice. I'm not going to keep this stuff around for long though. I live a couple of miles south of Toppenish in the Yakima valley for those in the pnw who might be interested. Smaller pieces I can ship via ups, fed ex, usps or Greyhound. Trades welcome. Last edited by Mr48chev; 06-24-2010 at 11:07 PM. No but I emailed my buddy to see if he knows of a set. Last edited by Mr48chev; 05-02-2010 at 08:03 PM. 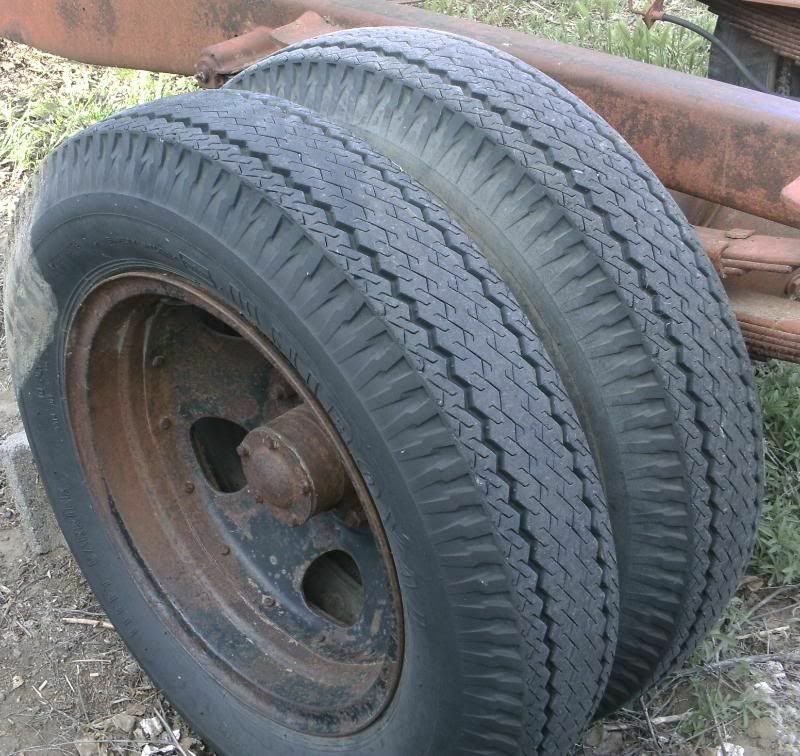 I just threw those up in case someone needed some to use for roller tires or had a truck they used on the farm or ranch that they could use them for. Otherwise the tires will come of the rims and the rims will go for scrap. Over here on this side a lot of guys still have those trucks out on the farm and use them a month or so a year and they never go off the farm but it's still 45 bucks or so to get a flat fixed if the tire shop will even mess with the rims. I'm wide open on the price too.